NANOJET™ aeronautical technology atomises water into small luxurious droplets and increases the surface area by up to 10 times. This creates an invigorating and powerful body jet for every day luxury – it’s a day spa experience every day. What if every time you used your mixer tapware you were saving energy and reducing your impact on the environment. At Alder we have created an innovative technology that does just that – SAVE MODE™. Alder’s AMOR-KOTE™ contemporary finishes have superior scratch resistance, durability, anti-fingerprint and a lustrous finish that will last the test of time. Our 7 year contemporary finish warranty makes it clear we back the quality of our AMOR-KOTE™ finishes. Introducing the latest in innovative contemporary matte finishes NANOfuture™. NANOfuture™ has delivered an exceptionally durable finish in matte contemporary colour ways. 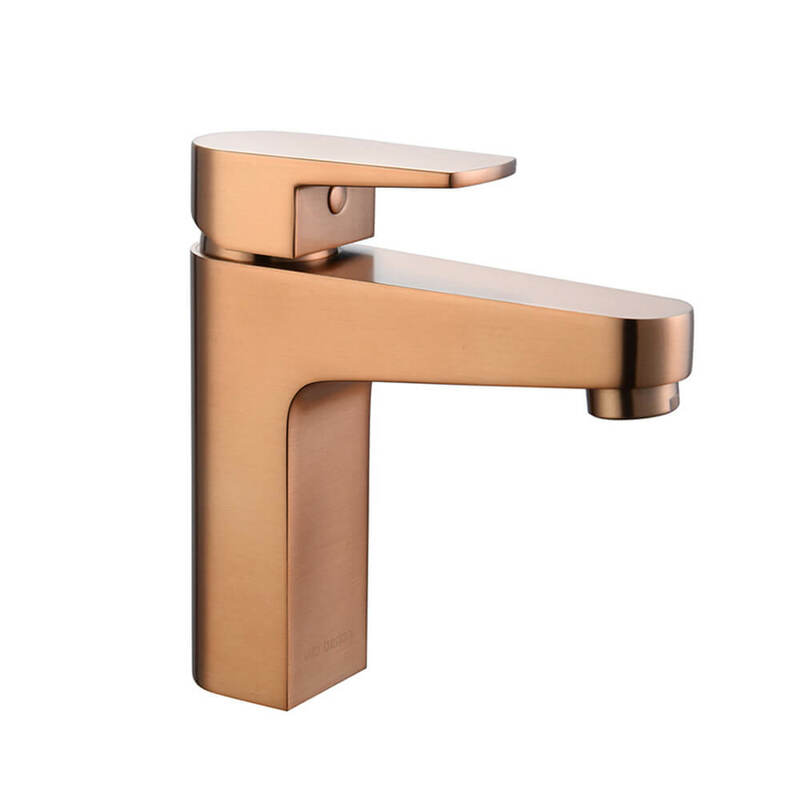 Alder’s Matt Graphite, Matt Copper and Matt Brass NANOfuture™ finishes delivers contemporary style with a guaranteed durable finish that is backed by a 7-year finish warranty. NANOfuture™ has natural anti-finger printing properties, is extremely durable, high-scratch resistance and will maintain its exquisite lustre with its stable finish. The very small size of NANO-particles coupled with their relatively great surface area fuse to produce these exceptional properties. 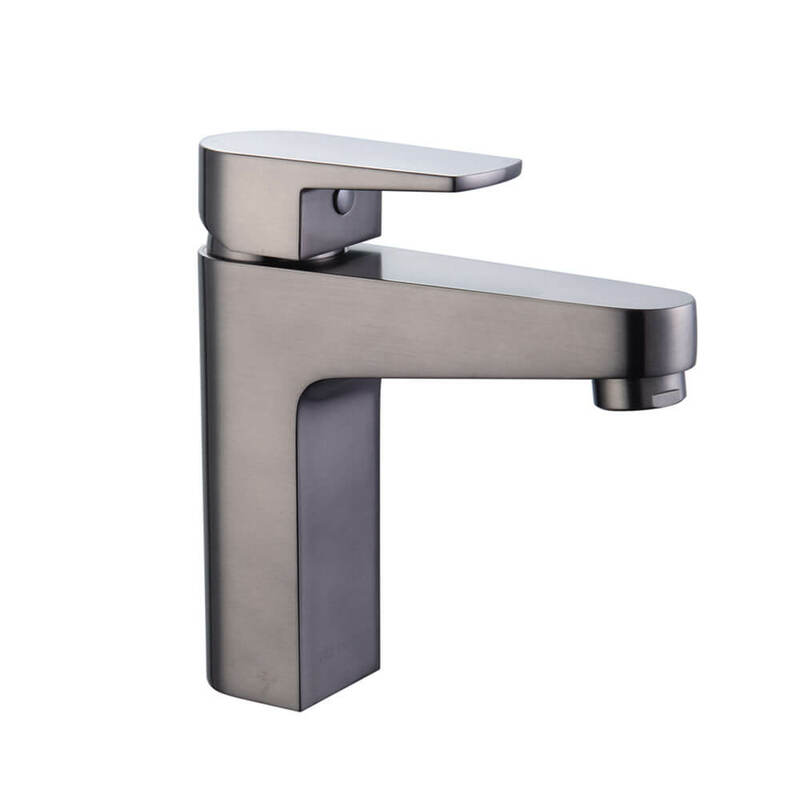 Matt Graphite, Matt Copper and Matt Brass contemporary finishes are available across many of the ranges within the Vito Bertoni Collection of tapware, showers and bathroom accessories. Alder tapware is engineered with MULTI-INSTALL™ technology – no additional parts required. One product can be installed in three different ways to best suit individual needs or preference. The lever can be installed on the left side, right side or in the central position of the mixer. Traditionally levers are installed on the right-hand side although this doesn’t suit everyone, especially people who are left handed. We are inclusive by design and ensure that our tapware can be installed to meet your needs and make everyday use easier. We believe the finer detail matters – just like an Interior Designer. 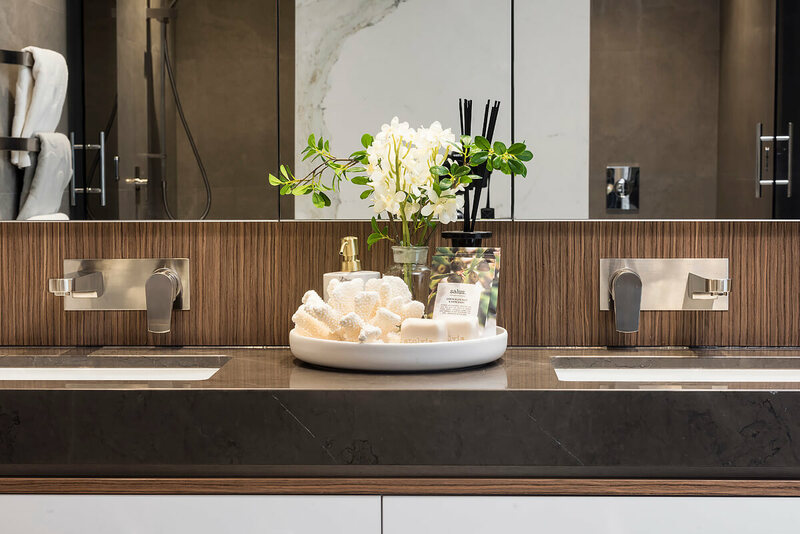 Ever wondered why the interior designed master bathrooms look so great – they install tapware using mirror image installation. SMART-INSTAL™ enables you to install your Wall Basin Mixer Set using mirror image installation to achieve that ‘interior designed’ look. SMART-INSTAL™ enables you to install one product in three different ways; horizontally with the lever on the left or right and vertically with the lever on the top. This is achieved using Alders Installation Plate that is an Alder Registered Design. Architecturally designed to ensure stream lined aesthetics and an ‘interior designed’ look. Available on any of the Alder backplated products that all come with an Alder Installation Plate for easy and quick installation. At Alder we carry out extensive engineering work and testing to ensure our products support our premium quality commitment. A shower is to be relaxing and luxurious and so at Alder we ensure every shower has an ultra-wide spray pattern, which means your shower is more enjoyable. 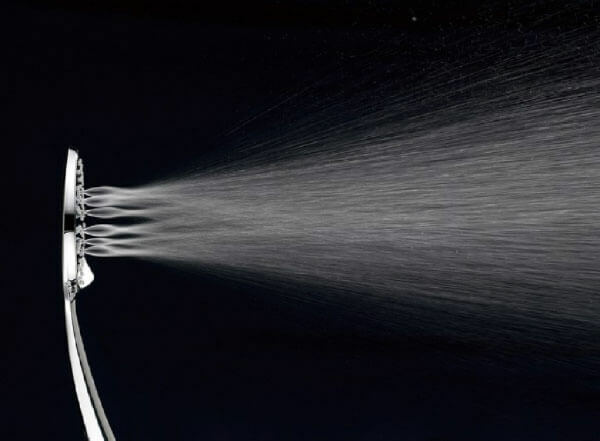 Our shower spray patterns have a minimum of 180mm diameter at 500mm from the shower handset and 9 litres per minute or WELS 3 Star – this is world class. Alder shower sprays are straight and strong, they don’t sag. It’s this attention to detail that sets Alder apart from the rest. Alder has created MIXER-LOK® that ensures your kitchen mixer will never work loose over time. This is a common issue that Alder has found a solution for. MIXER-LOK® is a unique fixing system that incorporates a mixer locking nut design to ensure Alder Kitchen Sink Mixers never work loose. 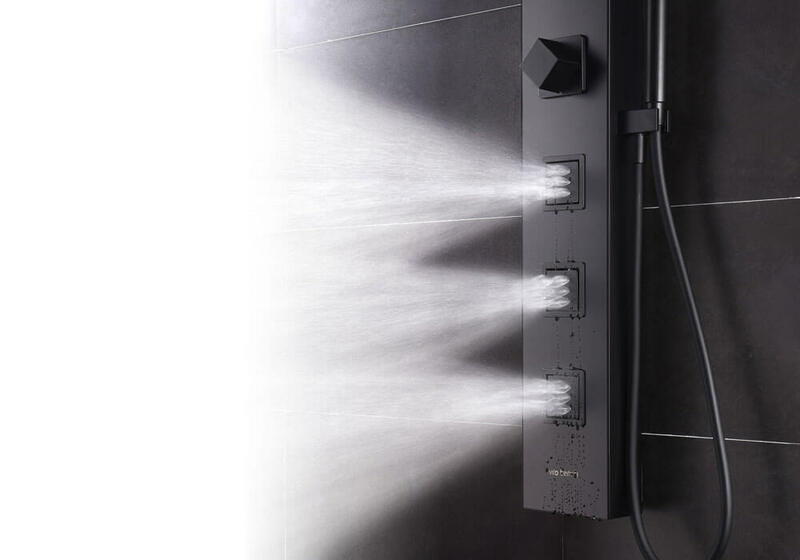 LIFE™ Panel Shower has 18 NANOJET™ Body Jets and truly reinvents the showering experience. 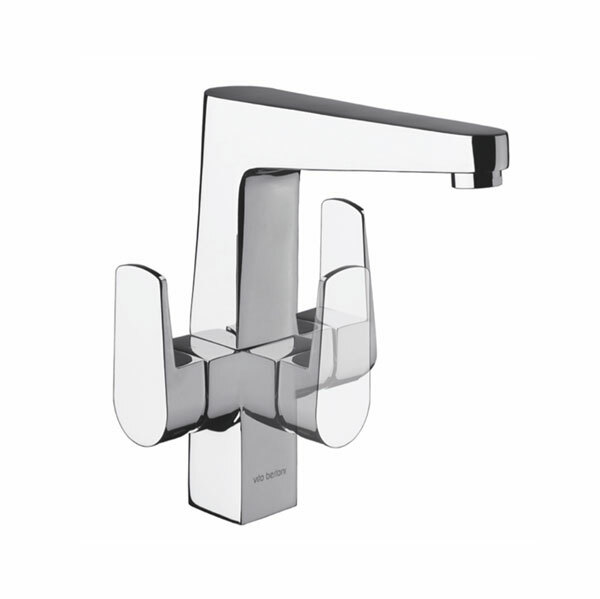 NANOJET™ is a feature of the LIFE Panel Shower and the HS375 and HS350 Shower Handsets. At Alder we are committed to protecting the planet and reducing environmental impact. Here at Alder we have created an innovative technology that saves energy and reduces your impact on the environment- SAVE MODE™. 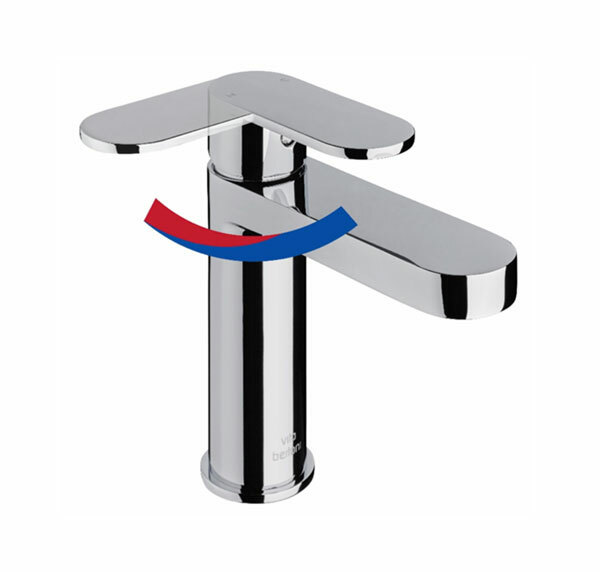 Most conventional mixer taps draw 50% hot water and 50% cold water from the neutral lever position. This ignites the hot water system every time you turn on the mixer. 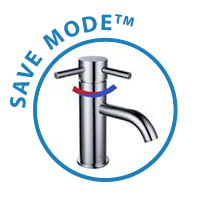 SAVE MODE™ ensures you use 100% cold water when you turn the mixer on in the neutral position. 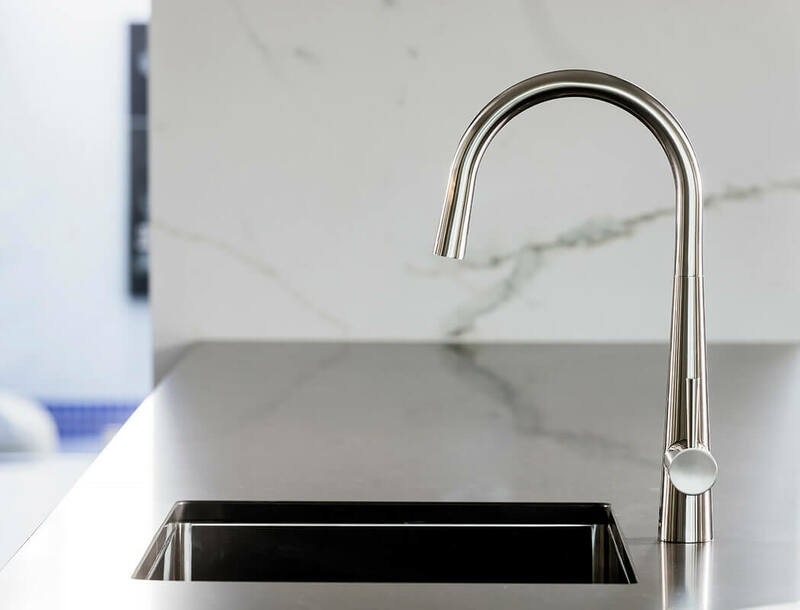 Energy saving SAVE MODE™ is a standard feature across our Vito Bertoni Sink Mixers and selected Vito Bertoni Basin Mixers. Alder’s AMOR-KOTE™ contemporary finishes have superior scratch resistance, durability and a lustrous finish that will last the test of time. Our 7 year contemporary finish warranty makes it clear we back the quality of our AMOR-KOTE™ finishes. At Alder we strive to make things better and we have spent a great deal of time and effort in research and development to ensure our contemporary finishes have optimal durability, scratch resistance, anti-fingerprint and are absolutely corrosion free. AMOR-KOTE™ contemporary finish technology covers a number of finishing processes that includes state- of-the-art NANOfuture™ innovation, Physical Vapor Deposition (PVD) technology and Electroplating. All of our contemporary finish processes are supported by a 7 year contemporary finish warranty. 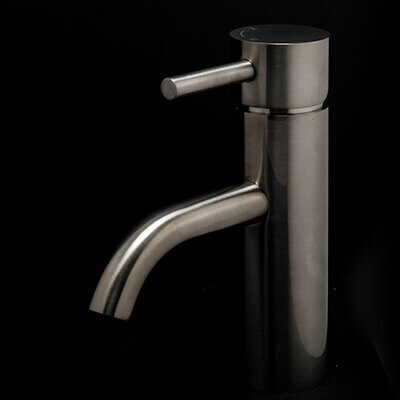 Alder believes in more durable tapware that lasts the test of time. Extensive range of contemporary finish products available. 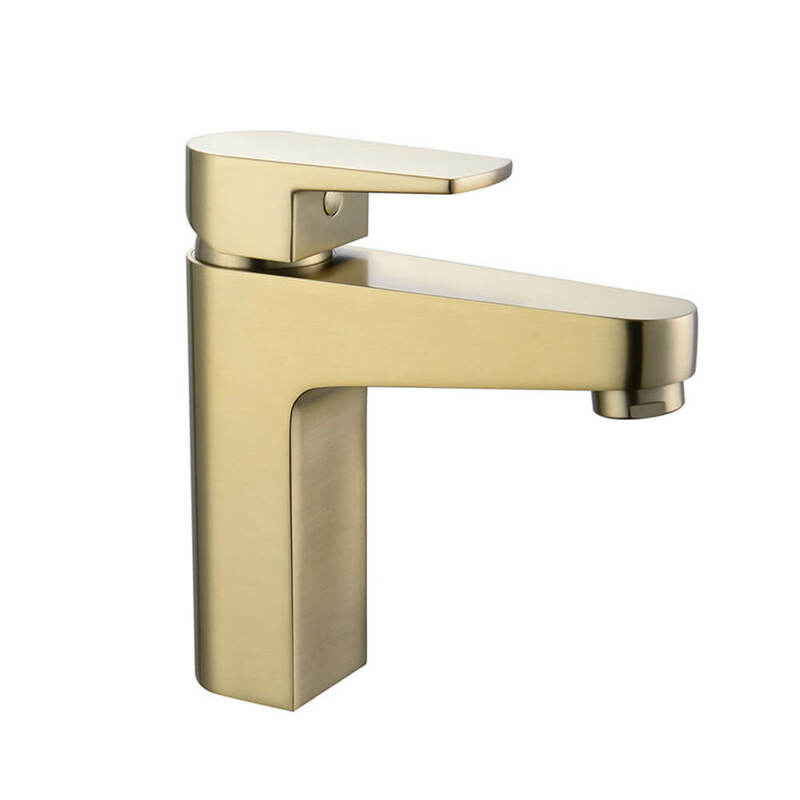 Available finishes include Chrome, Matt Black, Brushed Nickel, Matt Graphite, Matt Brass and Matt Copper.